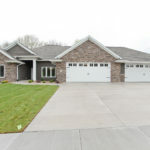 Sunderman Custom Homes has been building homes to the highest quality and standards for hundreds of families in the Eastern Iowa area. We operate with the sole purpose of providing a great home at an affordable price while exceeding customer expectations in all aspects of the building process. When you build a Sunderman home, you can be assured that you have made an investment in a quality home you can be proud of. In every home that we build, Jerry Sunderman brings over 25 years of experience in the construction industry. You will see evidence of Jerry’s craftsmanship and attention to detail in every room. We strive to be the “best value” builder in the Cedar Rapids area by continually updating our “standard features” to incorporate the latest features and trends into all of our homes. Many of our “standard features” are considered upgrades with other conventional builders. Our philosophy is unique and simple. We realize our role is to help you build your dream home. We are focused and committed to exceptional quality and craftsmanship at a great price. Throughout the building process you have the ability to customize your home by choosing from a variety of options every step of the way. We are proud to be recognized for our dedication to our customers and we’re honored to be one of eastern Iowa’s leading builders of exceptional custom homes. We’ve been building distinctive custom homes across Eastern Iowa, and we would be honored to build your dream home. We invite you to tour our currently available homes or view our lots to select a site where you can build the home you‘ve always imagined.